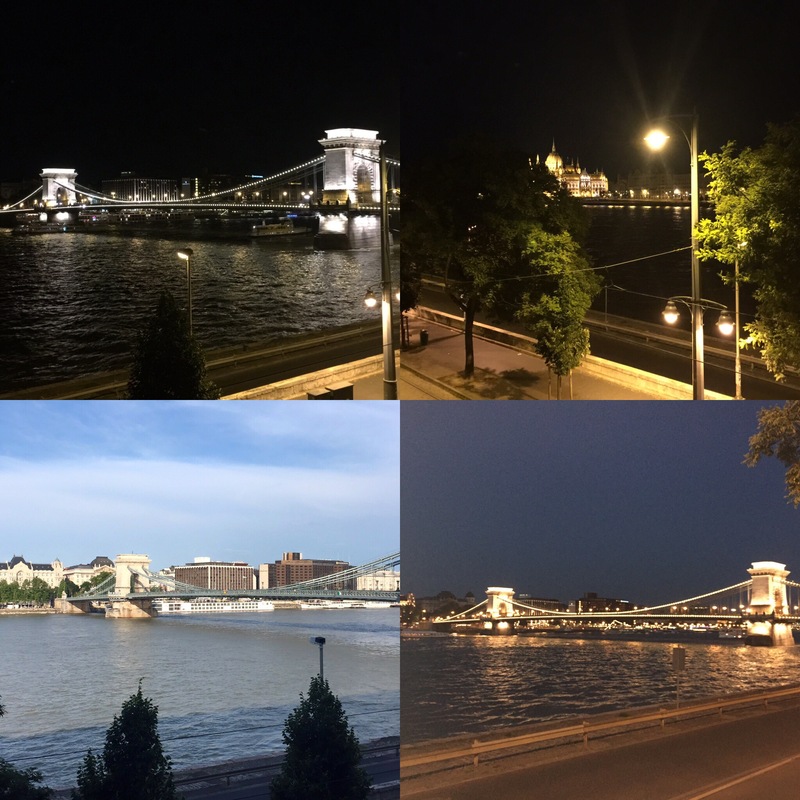 Actual view from our window …. 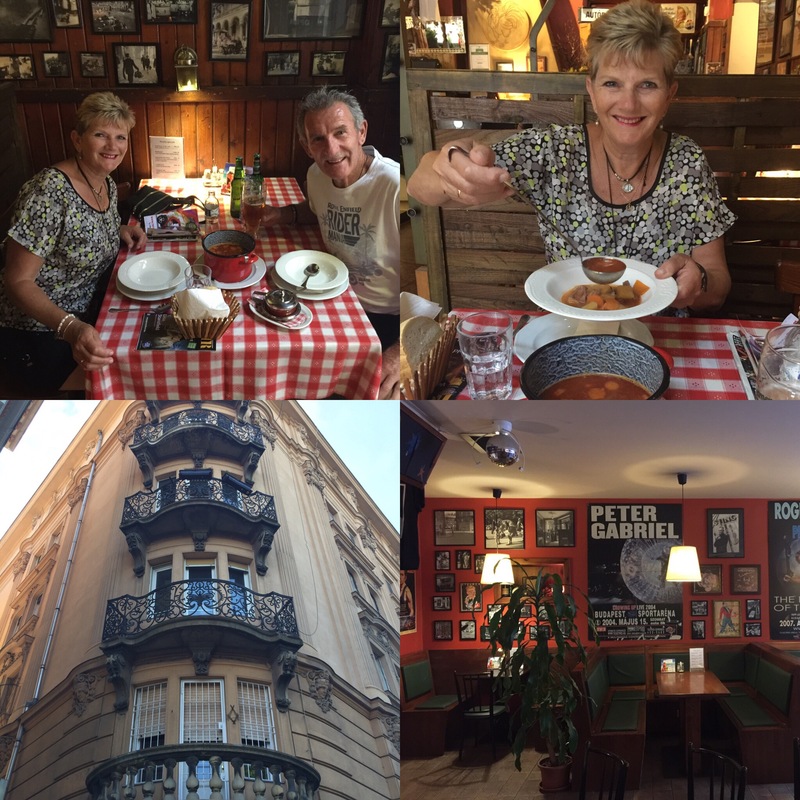 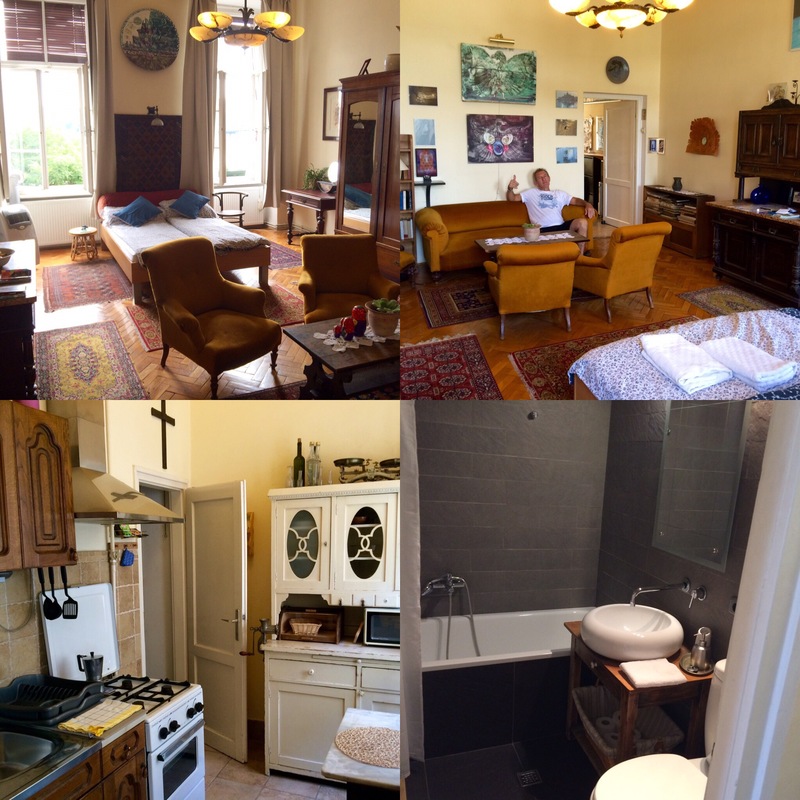 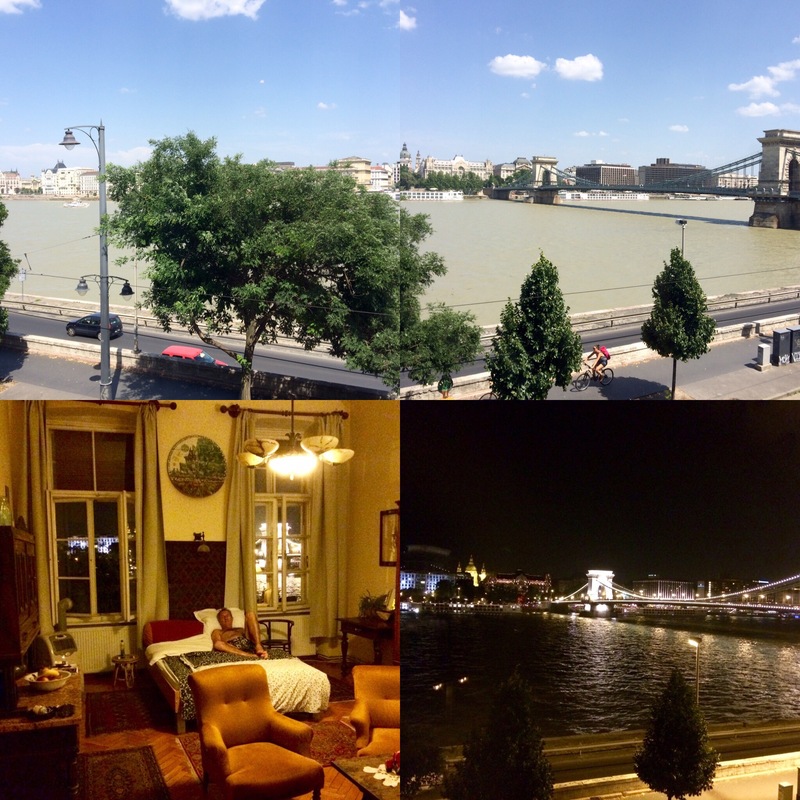 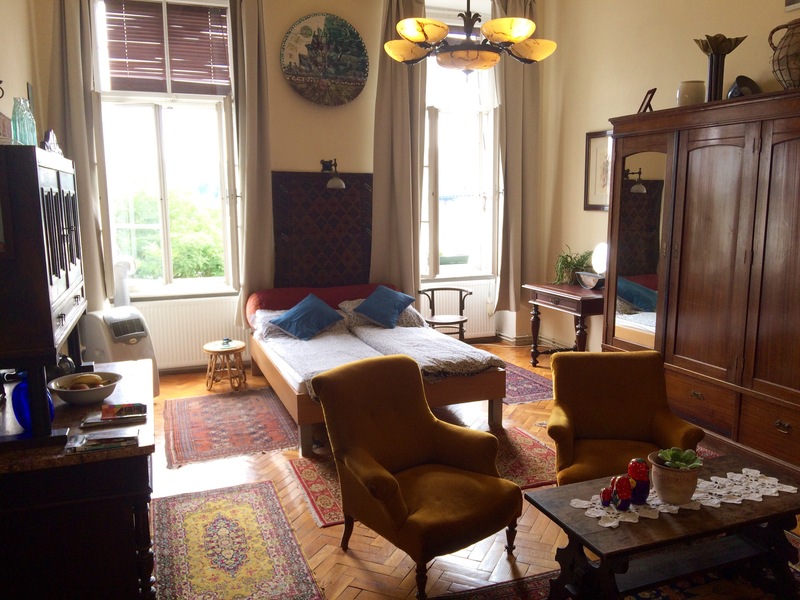 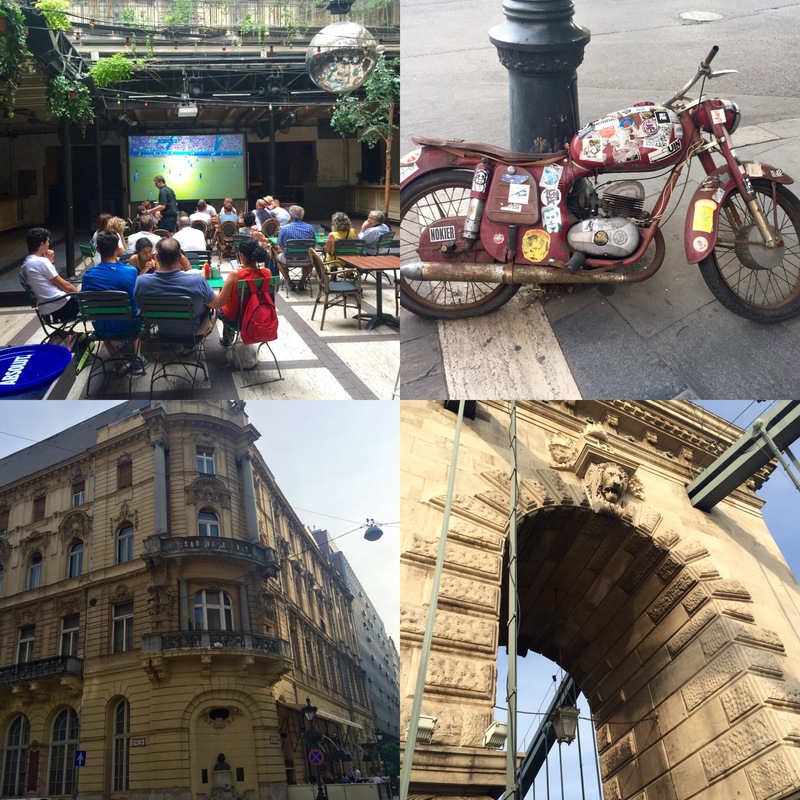 Just a few hundred metres from our pad …..
Outside the window is River Danube ….. 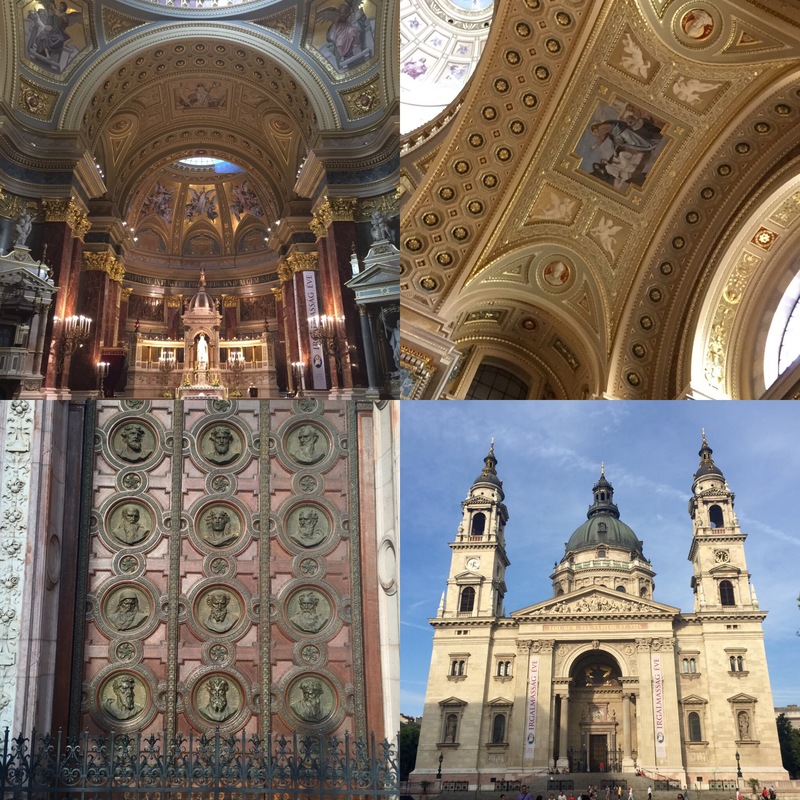 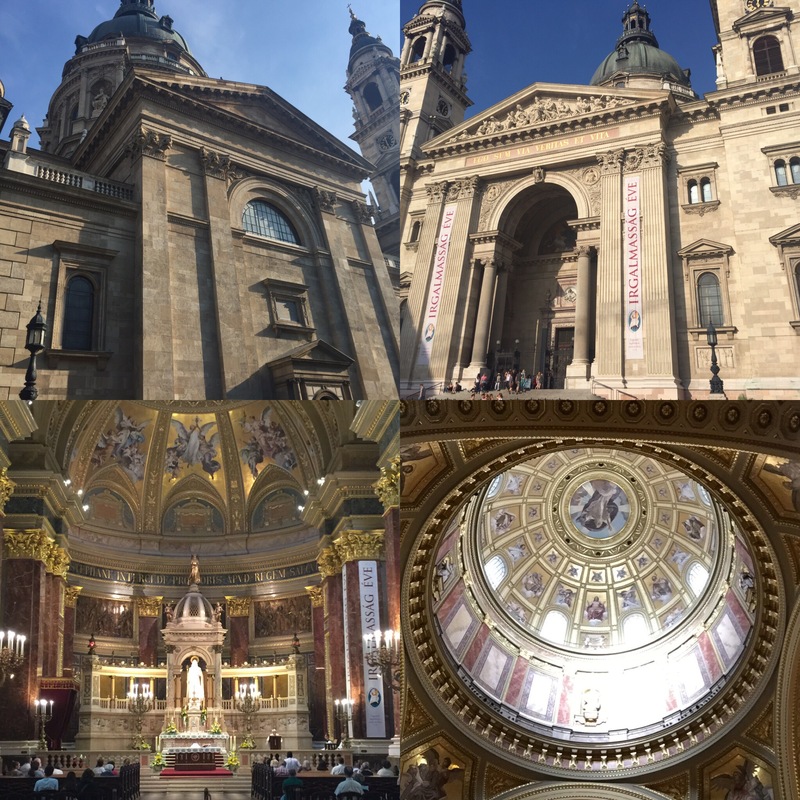 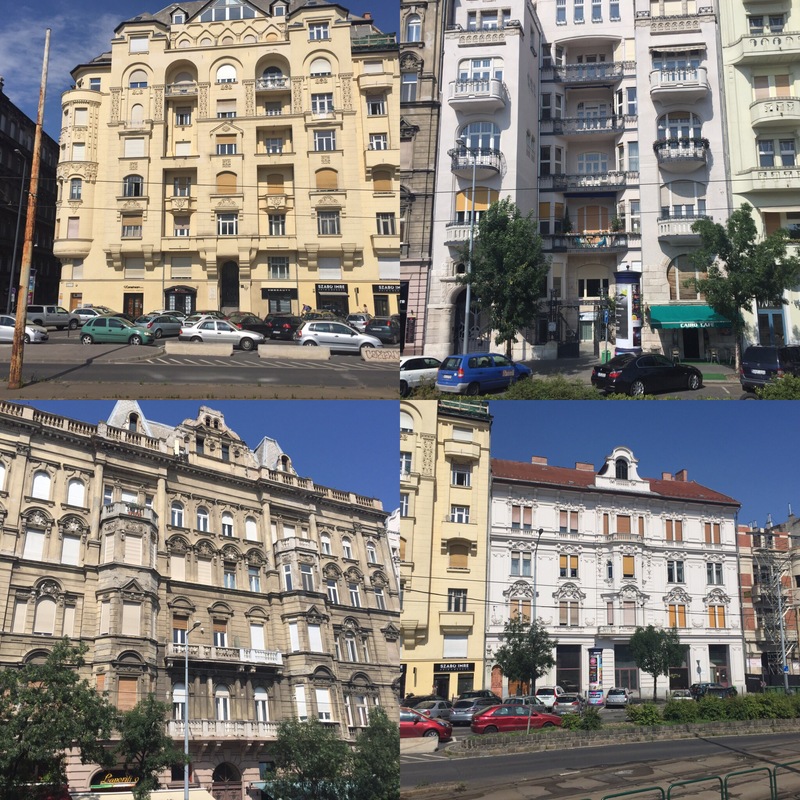 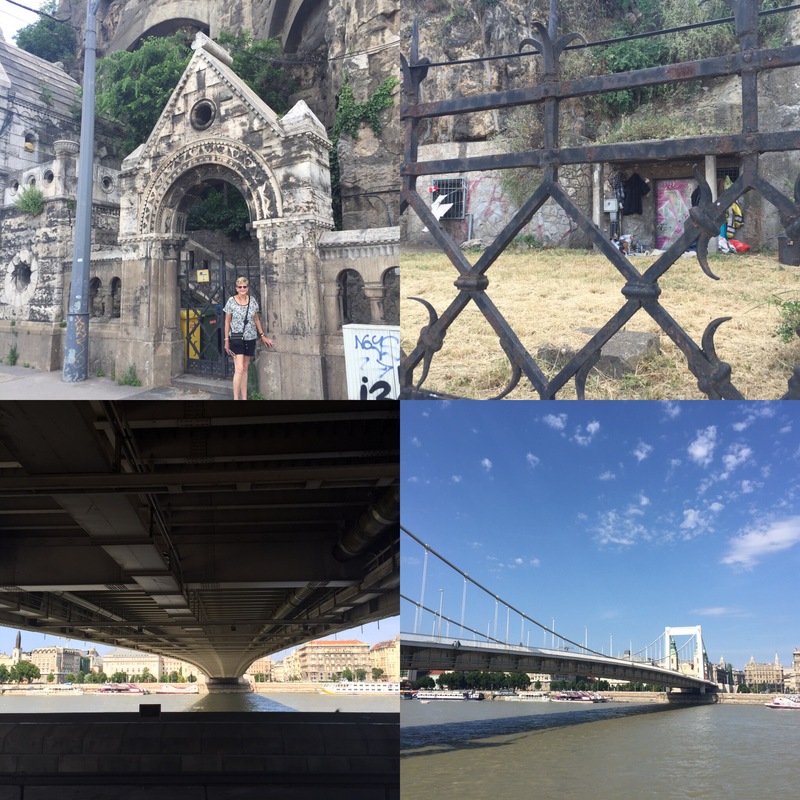 Exterior of the Budapest building we are in …. 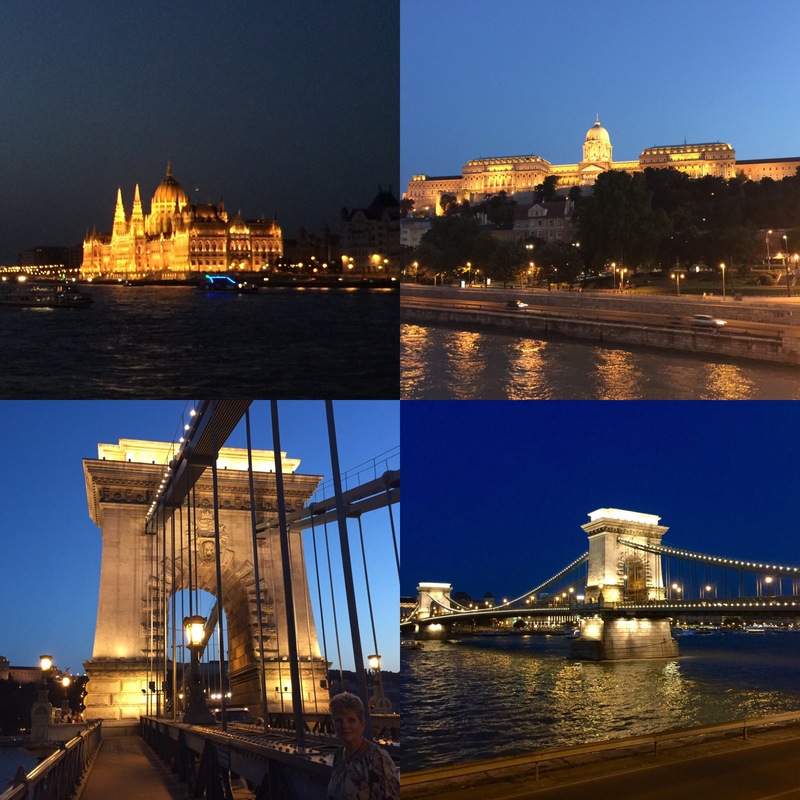 We walked across the Chain Bridge on Saturday evening after settling in and took in the sights of Budapest at night, even though it does not get dark until after 10:00pm, looks like another beautiful city to explore. 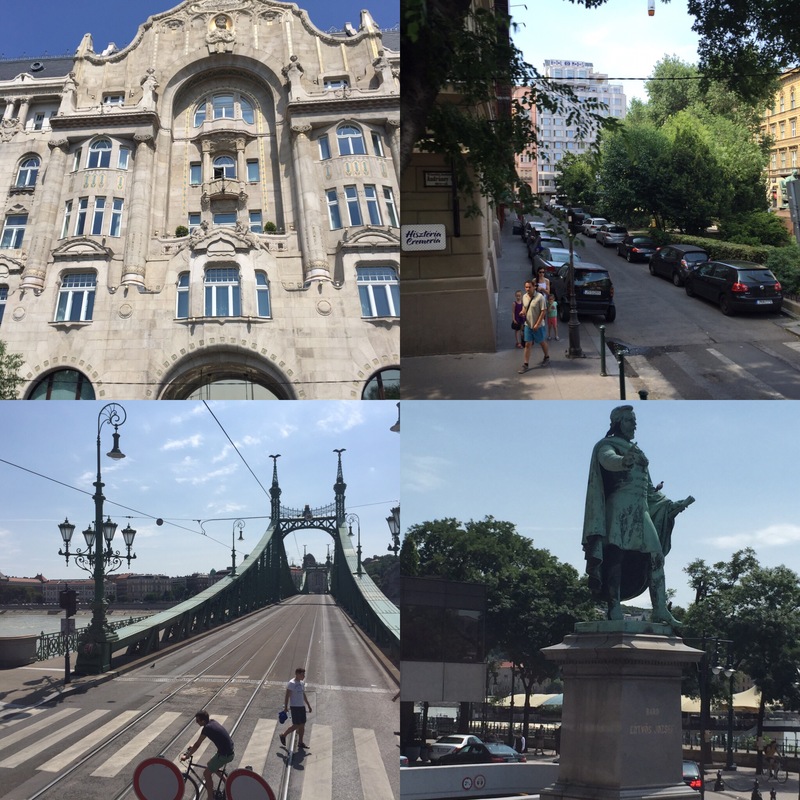 Next morning we walked around behind where we are staying, which is the bottom station for the Budapest Funicular which takes you up to the main Palace hilltop area. 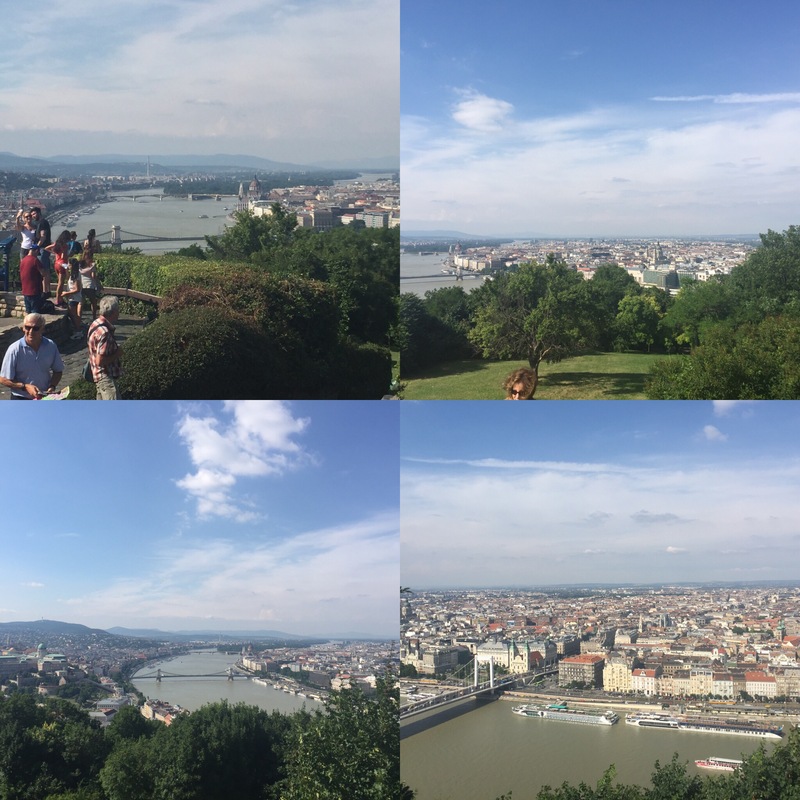 We spoke to a young girl selling HOHO bus tickets and purchased a ticket which gives us 2 days unlimited HOHO bus ride, a Danube River tour and also a ride up to the top on the Funicular. 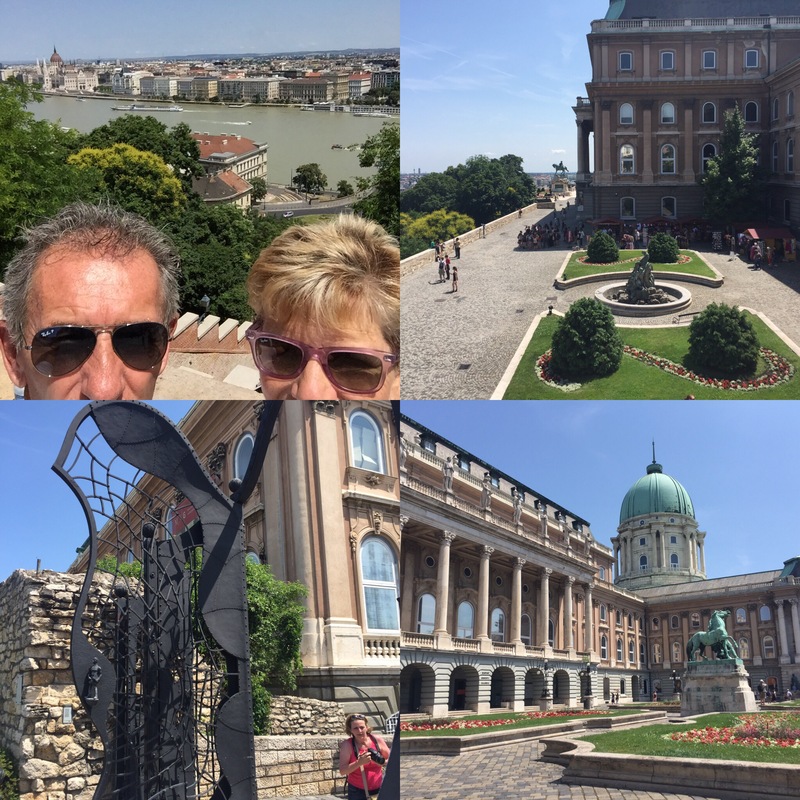 We then went up to look around this spectacular hilltop expanse of Palace and other old stone structures as well as to check out the view from the spot. 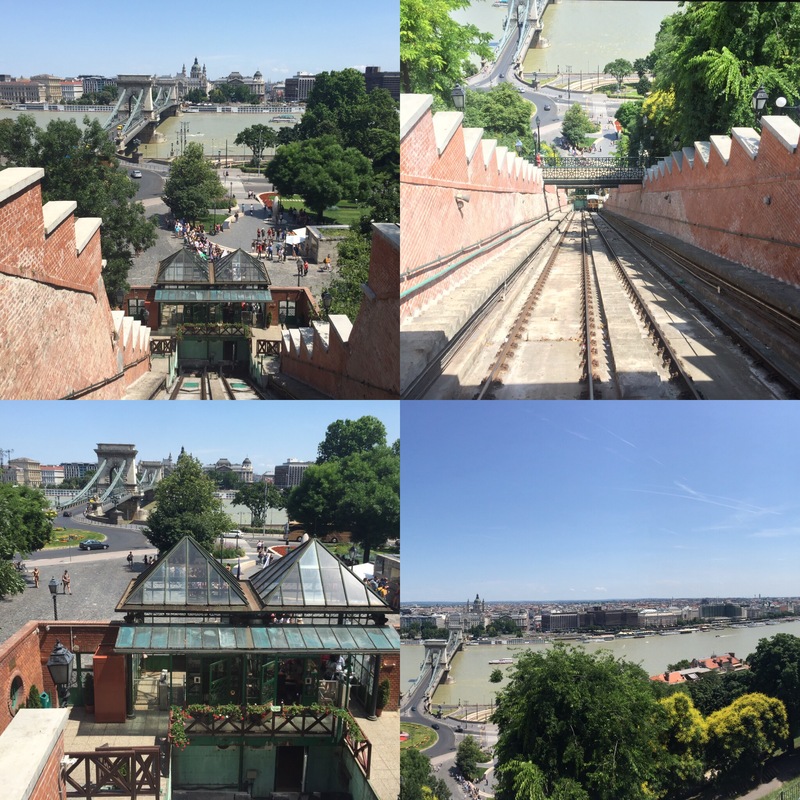 Funicular up the the Palace …..
Budapest has the most fantastic mix of old buildings …. 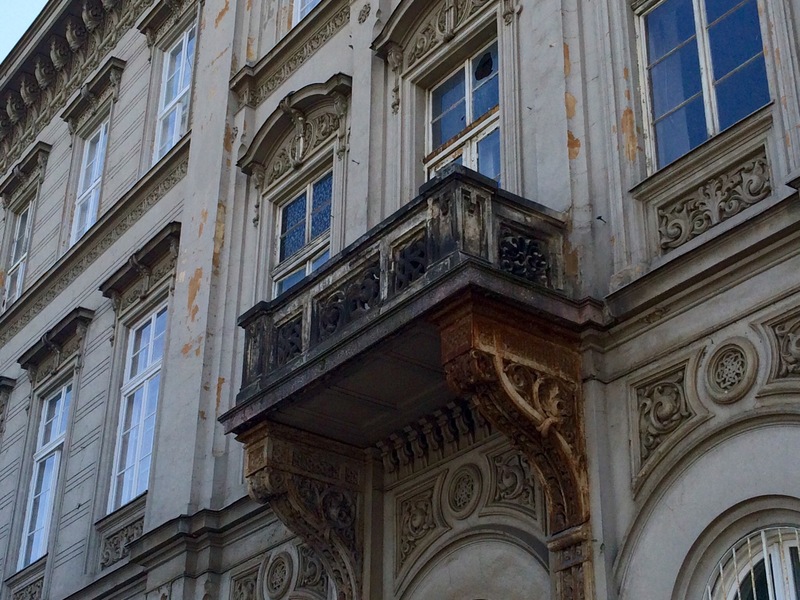 Walking home past the base of the Palace hill, even some homeless people have found a place to stay here …. 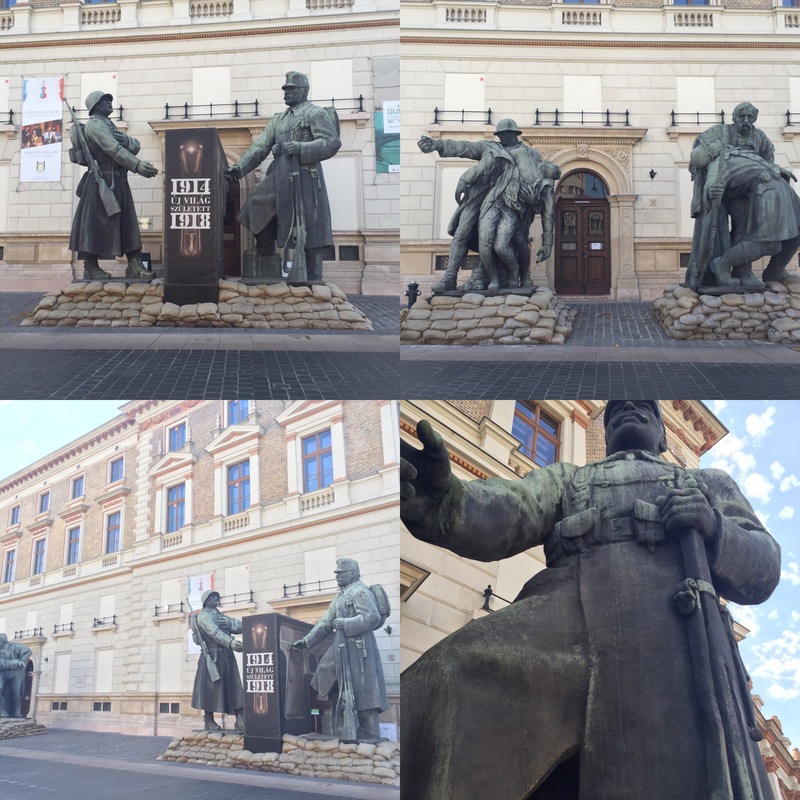 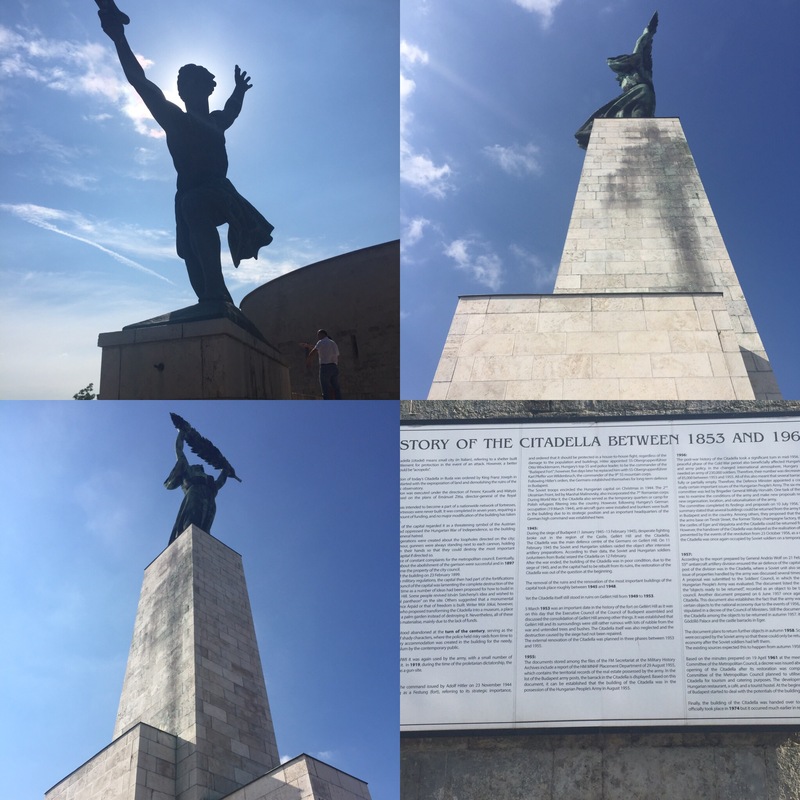 Huge monument to the fallen soldiers of WW 1 ….. 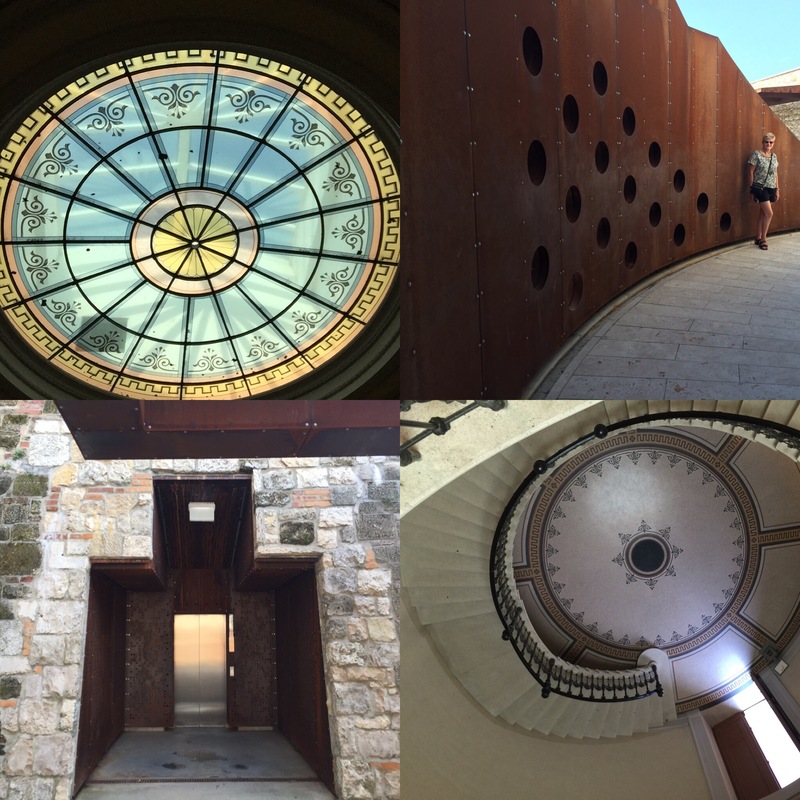 The new underground walkway up to Buda castle …..
Goulash soup & a beer on the way home tonight ….. 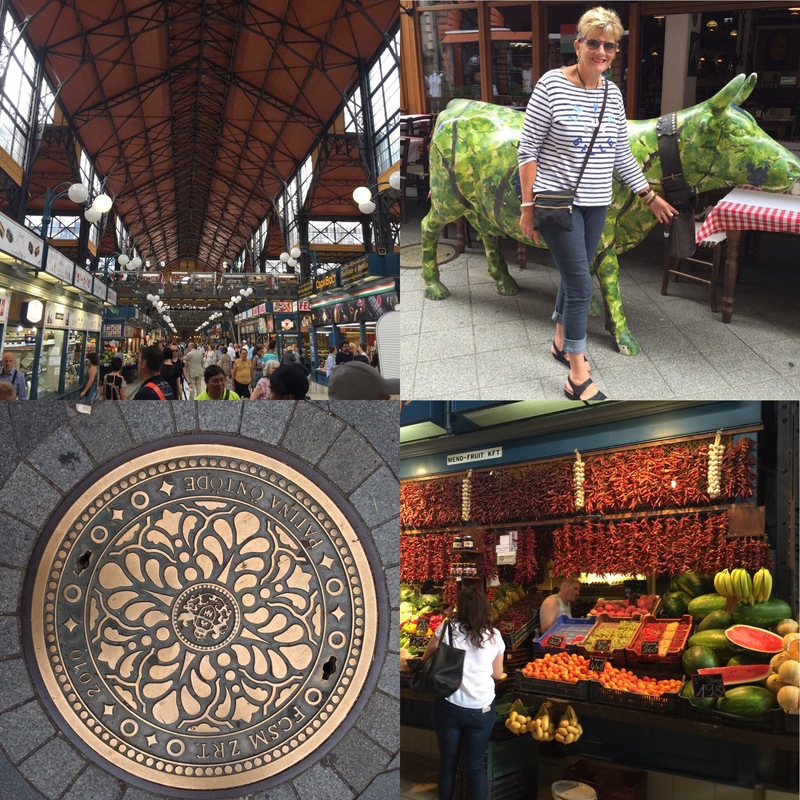 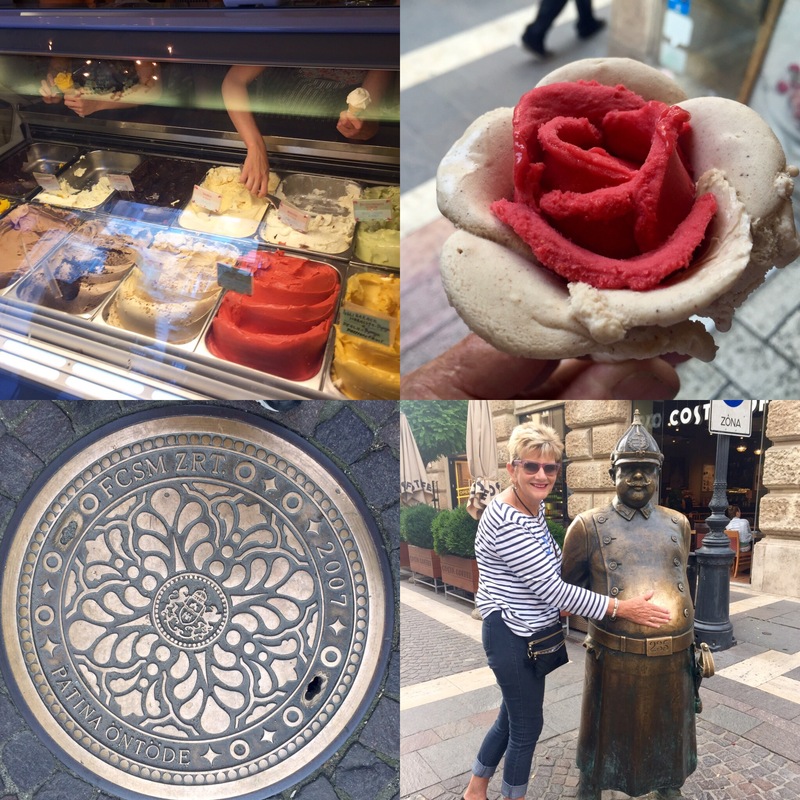 Inside the Pest Market Hall ….. 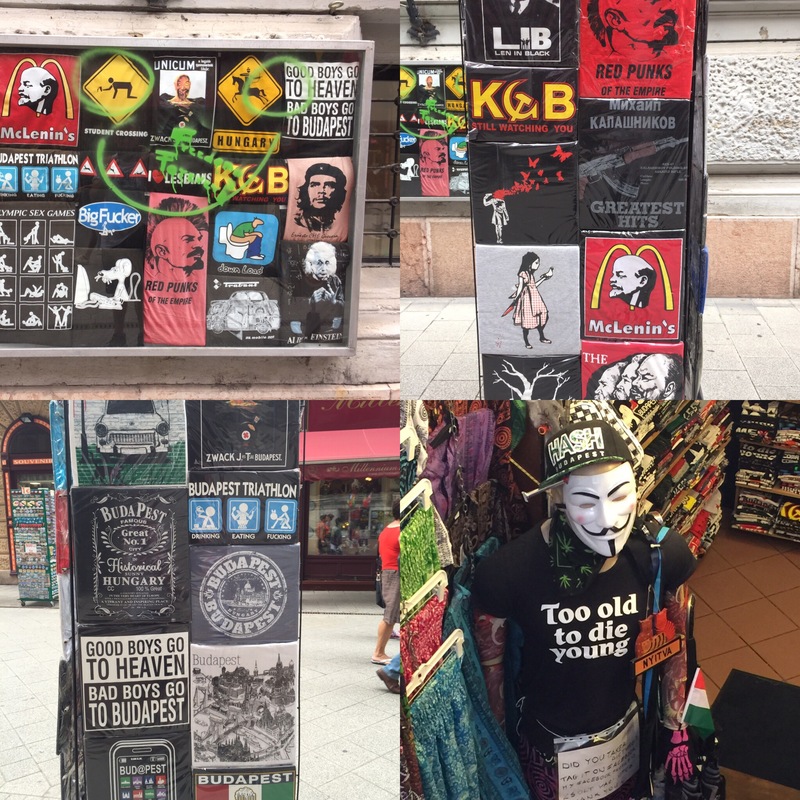 Funny signs we spotted ….. 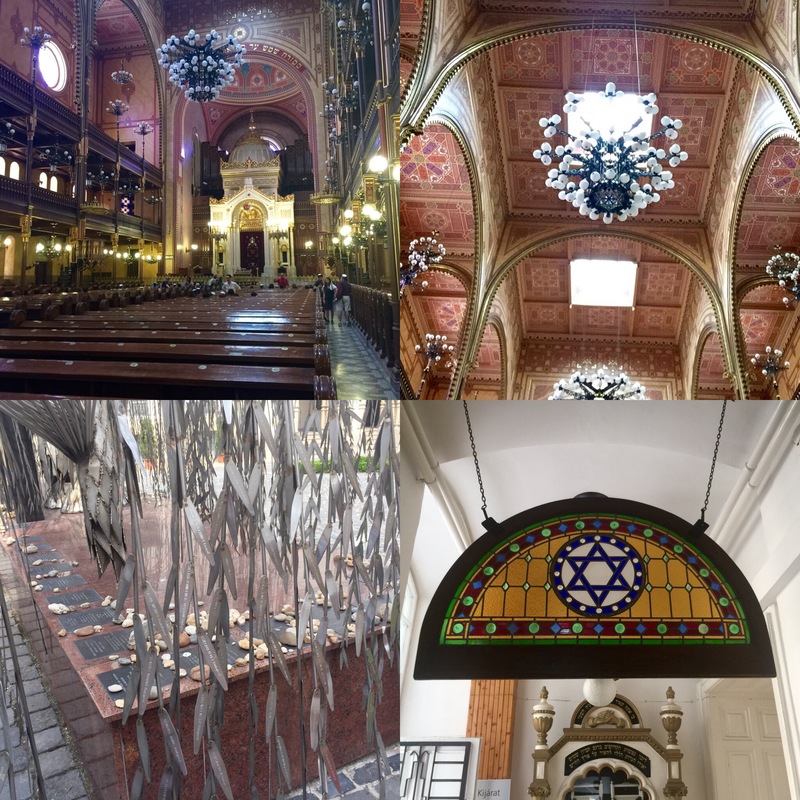 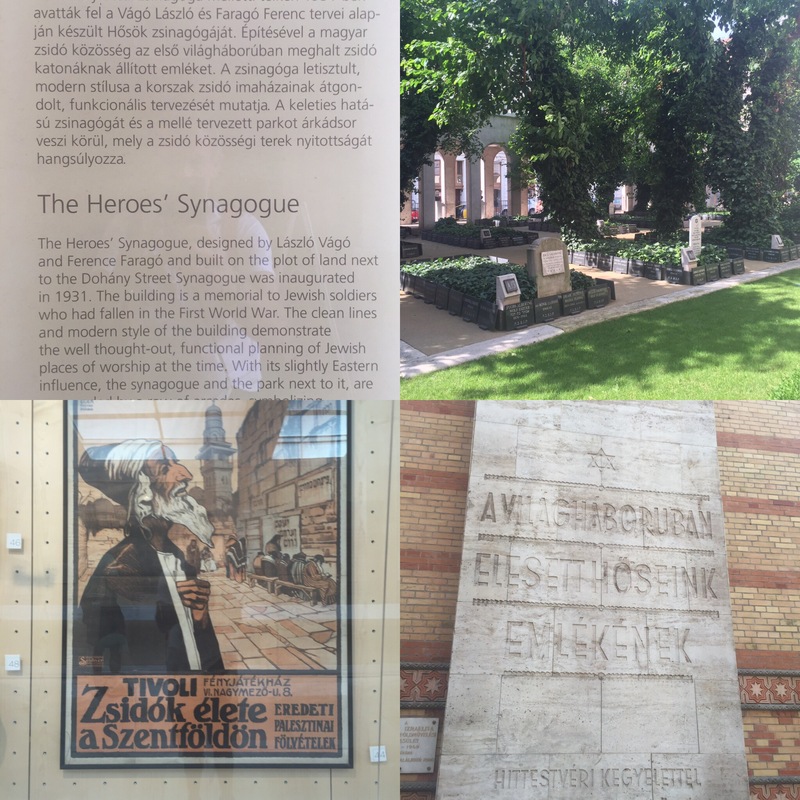 The grounds of the Jewish Synagogue ….. 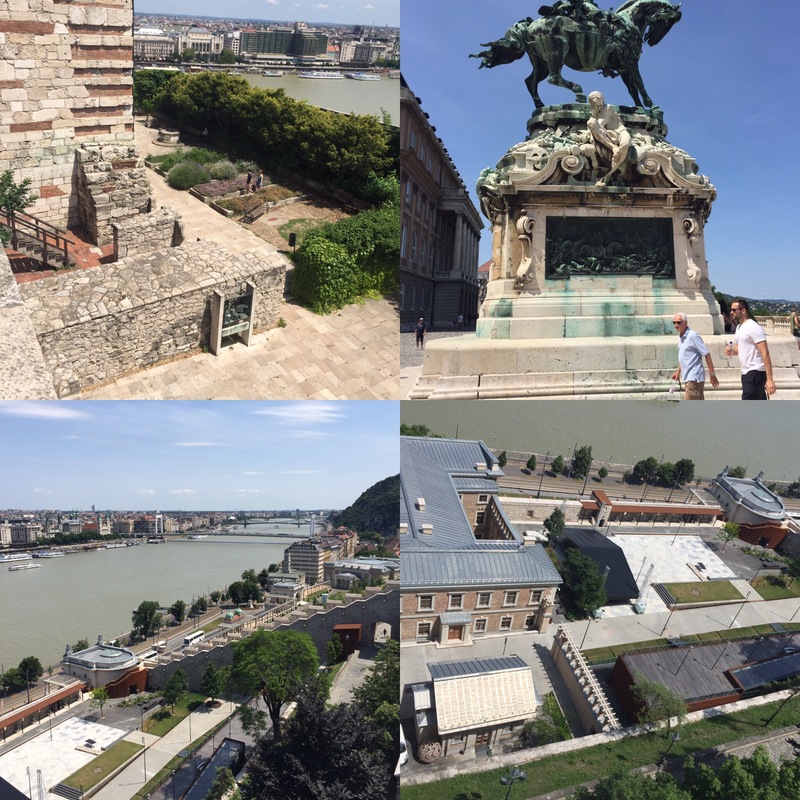 The spectacular views of Buda-Pest from Citadel Hill …. 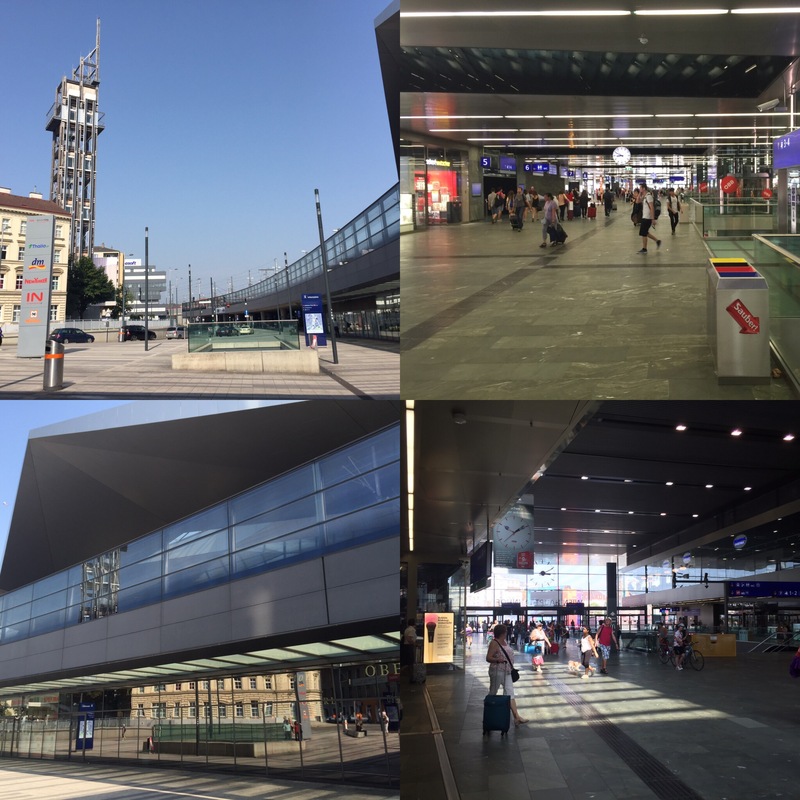 Previous PostLeaving Hamburg and off to Vienna …….DAY 78 …..